The GREENPOWER trade fair gathers representatives of all sectors of renewable energy sources in one place and time. GREENPOWER is a good opportunity to learn about market trends, exchange practical insights, and find out what challenges the industry is facing. The fair exposition includes: products, services and solutions in the field of solar, wind, water, biomass, biofuels, electromobility and energy-saving technologies. During GREENPOWER a number of specialist seminars, industry meetings, new news presentations or consultations and advice at expert stands are held. 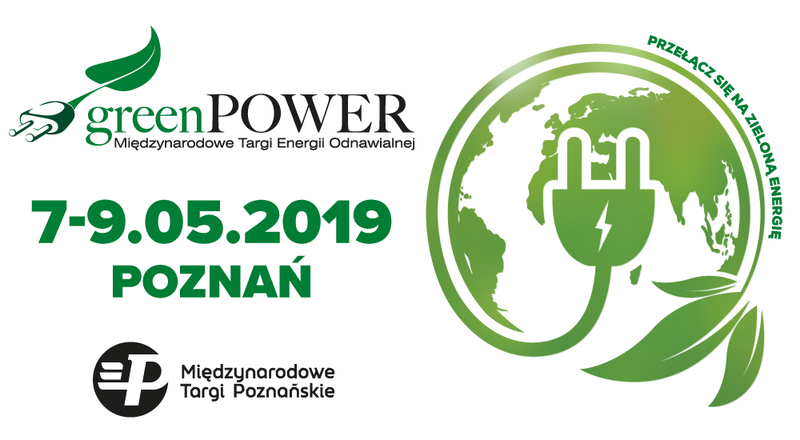 This year's edition of the fair will be held in parallel with the Expopower and Poznań Dron Expo fairs.